Installing new lawn turf is an exciting prospect – soon you will have a lush, green lawn to be enjoyed with friends and family, however some care needs to be taken to ensure that your new lawn has the best chance to thrive. It is essential that you take the time to prepare your backyard correctly for the laying of the new lawn turf. All of the old lawn and any weeds should be removed carefully, including any runners which may below the surface of the soil. You should then conduct a pH soil test to determine if your soil is lacking any of the nutrients essential for vitality and strong growth. Soil additives should now be added, if required, to adequately prepare the soil. You will also require 100mm of good soil underneath the new turf – if you don’t already have that in your yard then it will be necessary to have some brought in. More preparation tips and advice can be found here. Laying turf can be completed either as a DIY project or by the professionals. Either way it is essential that the new lawn turf be kept moist at all times to ensure that the root system doesn’t dry out. Daleys Turf has lots of great tips and advice on how to lay new turf, including a laying new turf video to help you on your way. Once your new lawn turf is down you enter the establishment phase. 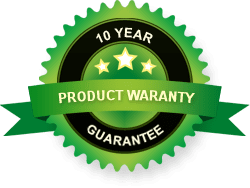 During this time your new turf will require some TLC but this will be worthwhile – you will end up with a strong, healthy and thriving new lawn. New turf will need to be kept moist during the establishment period which usually lasts around two weeks – during this time you may find that daily watering is necessary. Limit the amount of traffic on the new lawn, to allow the root system time to establish and the turf pieces to knit together. 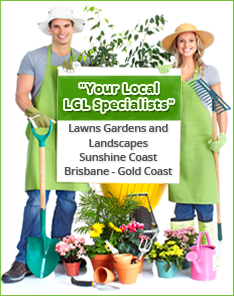 More establishment tips and advice from Daleys Turf, your Sunshine Coast turf supplier, can be found here.